The ladies over at Matchbook Magazine never fail to produce an absolutely stunning publication, with interiors to die for. Designer Jules Reid's home was no exception - and it comes at a perfect time. I am all for purple, but somedays I look at my guest room [which I am trying to finish] - and just don't buy into the color. But, then you come across a stunning space like Reid's living room, and all the faith you once had in a color/design scheme is renewed. I love the way that she has mixed all the different tones, and even picked up purple in natural elements, like the orchid and the framed sea shells. The mirrors, silver elements, and acrylic/glass pieces add glamour and light that feels chic and light. i love the purple color scheme! matchbook mag never fails to inspire me! I love that chair - it caught my eye straight away and the art above is fabulous too! I was blown away by Reid's feature! Even down to her adorable outfit, everything went together so well! OMG this room is so amazingly beautiful! 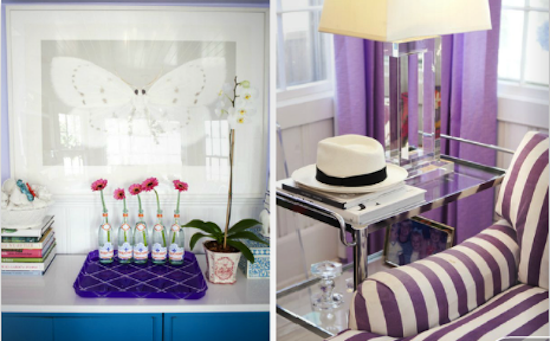 I never naturally gravitate towards purple- but man, these images are def inspiring me! Beautiful....purple, when used right, is just amazing. 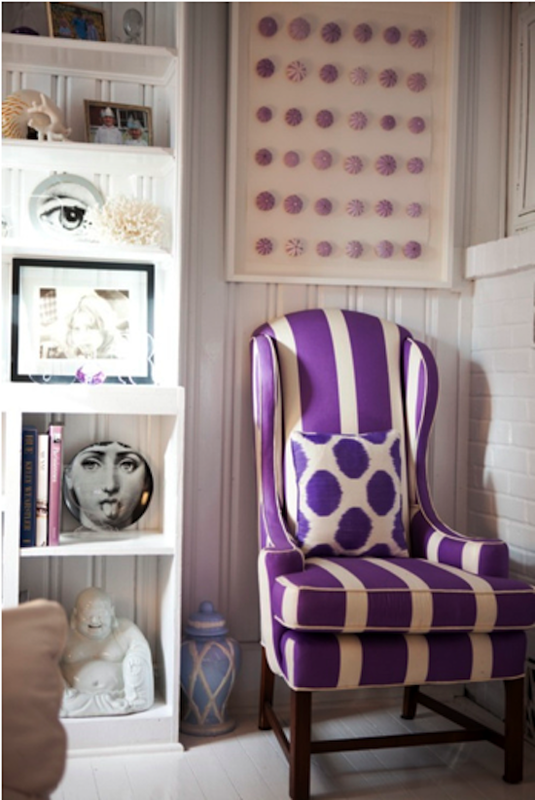 I love this purple room and that purple chair is to die for! 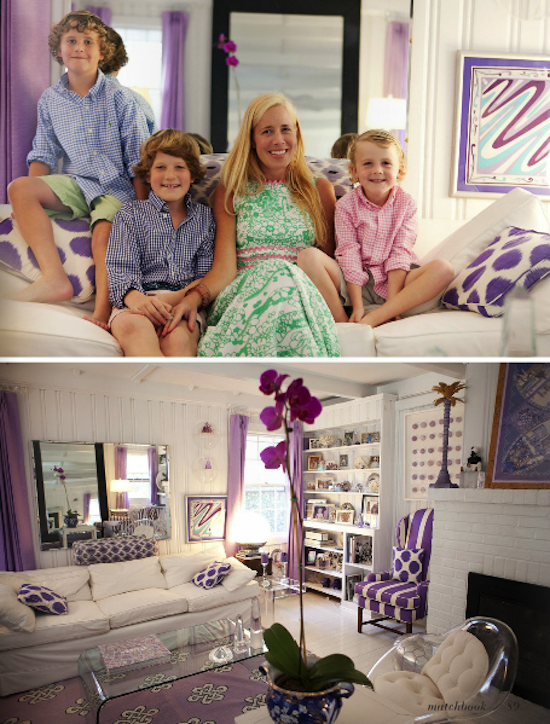 Oh my goodness, I could die with this room - its so on point. Thank you for sharing!